The proposed additional capital is going to strengthen the bank's capital adequacy ratio. 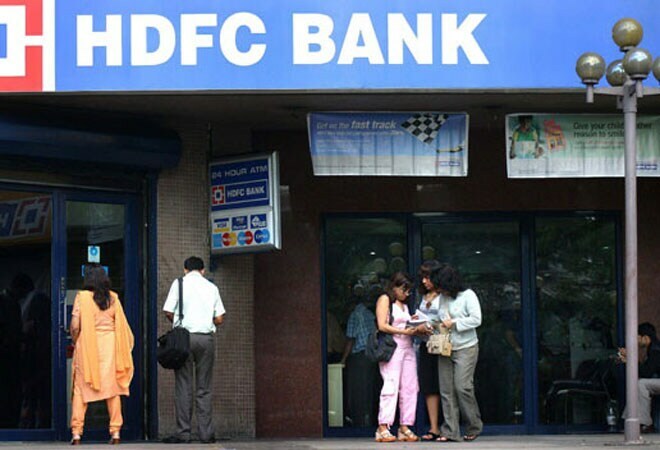 HDFC Bank, however, refused to comment on the proposed offer. The second-largest private bank in the country, HDFC Bank , is arguably the most well-run bank with a consistent track record of performance. Its capital adequacy ratio, which is a measure of adequacy of capital in relation to risk, has always been quite comfortable at 16 per cent as against the 9 per cent mandated by the Reserve Bank of India or RBI. There are many state-owned banks that are running at 9 per cent capital adequacy. HDFC Bank 's return on equity, a measure of rewarding shareholders, is at 20 per cent, higher than other large private banks in the country. So, why is HDFC Bank suddenly in need of capital? Clearly, the 20-year-old private bank is entering the market to raise equity to support its future growth plans. The bank has been growing at a scorching pace, which requires capital. For example, the top trio - ICICI Bank , HDFC Bank and Axis Bank - have comfortable capital adequacy ratios. But if one analyses the growth numbers of loans and advances, the Aditya Puri-managed HDFC Bank is growing at a much faster rate of 26 per cent plus (last year) as compared to ICICI Bank and Axis Bank, which grew its advances at around 16 per cent. Similarly, if one looks at CAGR growth of last three years, the most difficult for the economy with GDP at 5 per cent level, HDFC Bank grew at a CAGR rate of 24 per cent as against 17 per cent by ICICI Bank and Axis Bank. This kind of high growth will require more capital in future. Currently, the bank has big expansion plans for rural and semi-urban areas where it has 55 per cent of its branches. Today, the bank opens 400-500 branches every year with more than 90 per cent of the branches coming up in smaller towns and cities. In the past 2-3 years, the bank has built the foundation for an aggressive foray outside the metros and urban centres. "So, you obviously needed to get the correct business model to work on a profitable basis. Now we have models for semi-urban and rural areas which are profitable. Our brand is phenomenal inside rural and semi-urban India where 60 per cent of the population lives," Aditya Puri, MD & CEO of HDFC Bank told Business Today last month. Similarly, the bank has been making investments in data warehousing, data analytics, CRM etc. to create a virtual bank in the near future. There are many banks experimenting with video banking where the branch manager will come live on a mobile screen. Similarly, SBI has launched a fully digital branch where things move in high speed whether it is opening a new account or getting a debit or credit card. "We are now in a position to launch our most comprehensive offering that will be in line with global standards whereby everything you can do physically, and you can do virtually. We will also be in a position to determine what you want based on transactions you have done as well as analysis of social media interactions," Puri had said. These investments on technology and people are going to be an ongoing affair. Lastly, the RBI's implementation of Basel-III norms, the capital requirement for HDFC Bank will also increase in a phased manner up to March 2018.